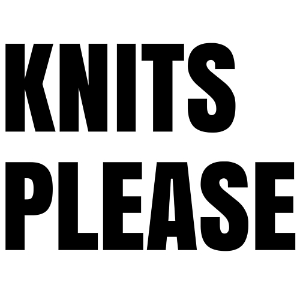 Things have been a little quieter over here at Knits Please HQ for a while. With knitting, as with all areas of life, I go gung-ho for a while and then I realise that I can’t keep up the pace, things start to slip, I feel all sorts of negative feelings like guilt and overwhelm and inadequacy, and then I scale right back and end up doing not very much for a while, while I ground myself, re-group and work out how I want to move forward. Granted, it’s not the healthiest of cycles, but the fact that I’ve been able to identify it and observe where I am within it is a good thing. There have been a couple of specific events that have led to this point, where I’m not really doing much, trying to find my footing again, and re-evaluating exactly why it is that I do what I do. One of these events was an unsuccessful knit. A few months ago my mind worked up a vision of me in the future, smiling happily, my hair in a messy bun, with the most beautiful, cosy black cable knit roll neck jumper on. It was an oddly specific image, but one that I held onto for a long time. I didn’t rush into anything, instead waiting out the initial excitement to make sure it was still something I wanted when the hype wore off. It was. So I set about finding the perfect, or nearest enough, pattern to fulfil my dreams. It was a long, hard slog, but after discovering Two of Wands’ Alpine Cable Pullover pattern on Ravelry I felt like I’d hit onto a winner. I’m very particular when it comes to knitting designs, and it takes a lot to find a cable pattern I actually like, so when this one fit the bill I knew it was the right place to start. All I had to do was extend the neckline into the snuggly collar of my vision and I’d be good to go. Now, I don’t have a lot of money to spend on knitting, and I wanted to do it right and use the recommended yarn in the pattern, so I was grateful when my Christmas wish was granted, and I was gifted vouchers for LoveKnitting over the festive season. Come the new year I was able to buy the yarn I wanted on sale, and only had to contribute about £15 of my own money. I got to work straight away, casting on the front of the jumper and quickly getting the hang of the cable pattern. Side note: if you’re putting off trying cables because you think they’re too hard, don’t. It’s simple when you get the hang of it, you just need to be careful to track where you are in the pattern. So I knit and knit, falling more in love with the beautiful cable pattern with every repeat I did. I quickly knit up the front, and cast on the back. Now, here things take a little turn. For some reason I never wanted the back of my jumper to be cabled. I don’t know why, it just wasn’t in my vision and I didn’t want to compromise on that. So I cast on the back like the front, but continued to work in stocking stitch after the initial ribbing. Once the back was done, the sleeves whipped up in no time and I was ready to sew it all together, and work up that collar I was so excited for. Casting off and preparing to try the jumper on, I was already planning on when I was going to wear it. Now, I’ve given the game away here, haven’t I? Because you already know that this jumper of dreams didn’t turn out to be what I expected. Looking in the mirror for the first time, the feeling was flat. A quick study showed me immediately why I wasn’t vibing it. The length was slightly shorter than I wanted it, and knitting the back in stocking stitch had made it significantly wider than the front, messing up the fit at the sides. The sleeves were tighter, and against the oversized body looked a little odd, but the thing that hit me most was the overall feeling I had when looking at myself. I can’t think of a better way to describe it than that I felt bulky, and that definitely didn’t give me the confidence I had in the smiling picture in my mind that I’d been holding on to all along. My immediate response was to take the jumper off, pop it on a hanger and tuck it away in the side of my wardrobe where I didn’t really notice it. A problem for another day, I decided. But that event sparked a whole host of thinking about the things that I’ve knit over the years, and how much I want and wear them when they’re done. A few days later, I went ahead with the wardrobe audit I had planned in at the start of the year, when mapping out how I was going to achieve my goal of a wardrobe full of things I love to wear. I tried on every item, considering how comfortable and confident I felt in each one, and one thing was abundantly clear – I really didn’t feel that confident in my hand-knit items, with just one or two exceptions. I decided to take everything I didn’t love out of my wardrobe and, as with the cable knit jumper, come back to them at a later date, with a different frame of mind. Suffice to say, these events left me questioning my knitting. If I wasn’t confident in wearing my knits, what was I doing? Where was I going wrong? And how could I shift to get it right? Personally, I’ve come up with a solution for the jumper of dreams, which I’ll implement sometime between now and the autumn, but the nitty-gritty of Knits Please is going to take a little more effort. I still absolutely love to knit, and designing modern, minimal patterns that people want to make is a huge passion, but I’ve realised that I need more. I spent some time considering Knits Please alongside my personal values, and I realised that I want to try to align them much more closely. I want to demonstrate the things I am passionate about through Knits Please and the channels I use to talk about it, and I plan that, in doing so, I’ll find a groove that works for me. Among all of this, though, one thing is clear – I want to keep the pressure off. I’ve spent a lot of time recently not quite being able to live up to the expectations I’ve set for myself, so I’m going to take the slow path. I’m going to take my time, and explore what it is that I want to communicate, and how. I want to nurture Knits Please, but I want to nurture myself too, and I hope that in doing so we can both evolve into something beautiful. So, I guess watch this space! 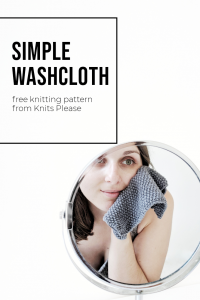 I don’t know how, and I don’t know when, but Knits Please will be evolving, even if only under the surface, and I’m so excited to share it with you.